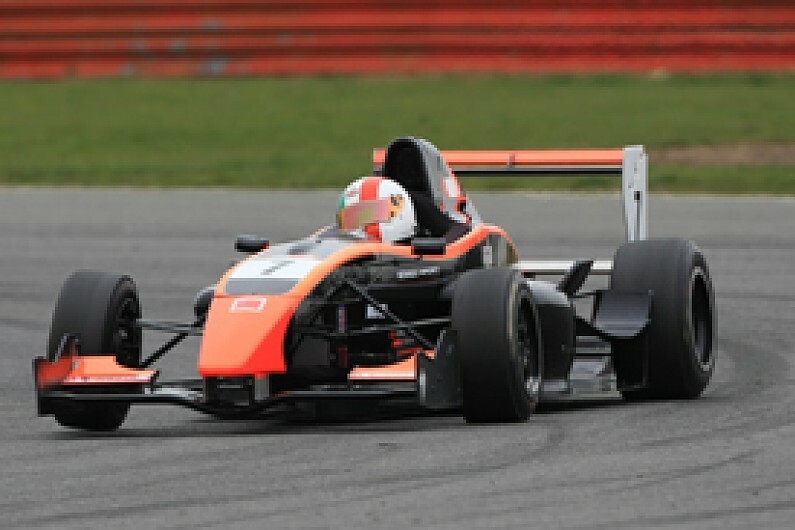 The six finalists for the 2011 McLaren AUTOSPORT BRDC Award have been announced. The selected drivers are ADAC Formel Masters front-runner Emil Bernstorff, German Formula 3 racer Tom Blomqvist, Formula Renault UK points leader Alex Lynn, British Formula Ford champion Scott Malvern, Formula Renault UK race-winner Oliver Rowland, and top Formula Renault BARC driver Dino Zamparelli. Blomqvist, who is still recovering from his crash at Lausitz last month, and Malvern contested last year's award, but the other four Britons are first-time finalists. The six will be assessed in a test at Silverstone in November by a panel of judges. The panel includes former Formula 1 racer and BRDC president Derek Warwick, two-time BTCC champion Jason Plato, DTM ace Jamie Green, McLaren head of vehicle engineering Mark Williams, veteran commentator Ian Titchmarsh, and AUTOSPORT's Kevin Turner and Marcus Pye. The winner, who will be revealed at the AUTOSPORT Awards in London in December, will be awarded £100,000, a McLaren F1 test drive, full BRDC membership, a supply of Puma racewear for 2012, and a TW Steel watch. Former winners of the award, which aims to promote young British racing talent, include 2009 F1 world champion Jenson Button, 13-time grand prix winner David Coulthard, Peugeot LMP racer Anthony Davidson, Green, and three-time IndyCar champion Dario Franchitti. 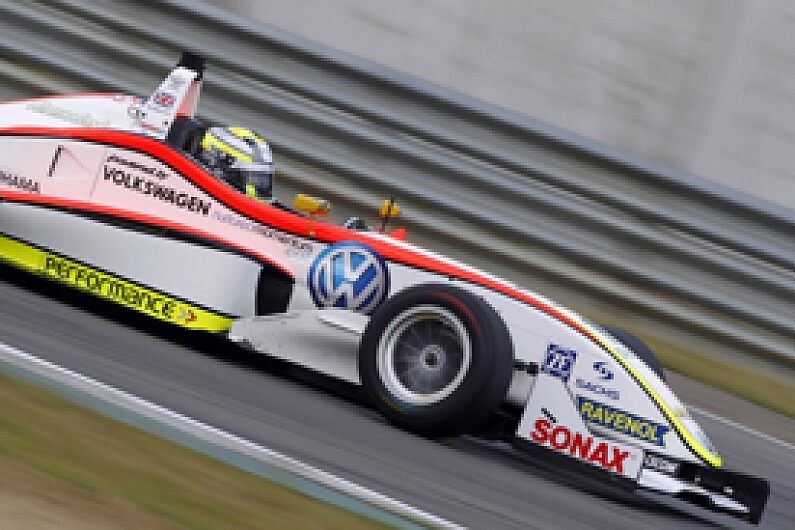 2011: Currently third in ADAC Formel Masters with Motopark Academy. Bernstorff's first season in cars came last year, when he contested the British Formula Ford Championship with Jamun Racing. He was often quick - scoring five fastest laps - but problems getting off the line prevented a victory and meant he finished seventh in the points. A switch to the German Formel Masters category for 2011 paid off and Bernstorff fought for the crown. Although the season is finished, he could yet finish second in the championship if two of his rivals lose points due to issues over legality in one of the Assen races. After winning the Formula Renault UK title in 2010, Blomqvist switched to the German F3 Cup this season. He was immediately a frontrunner, up against the highly-rated Richie Stanaway and the more experienced Marco Sorensen. The son of former rallying legend Stig took his first F3 win at Zolder, but a nasty startline crash at Lausitz broke his back and ended Blomqvist's season prematurely. He nevertheless still finished sixth in the standings and is recovering well. Lynn came on a lot during his inaugural Formula Renault UK campaign in 2010, culminating in the Winter Cup crown. He then proved a race-winner in the competitive New Zealand-based Toyota Racing Series at the start of this season. The teenager carried that form into the 2011 Formula Renault UK championship and has generally set the pace. It's not all been plain sailing - he lost points due to a technical infringement, won them back after an appeal, and then lost another win due to a separate legality issue - but just needs a point to wrap up the title in the Silverstone finale later this month. 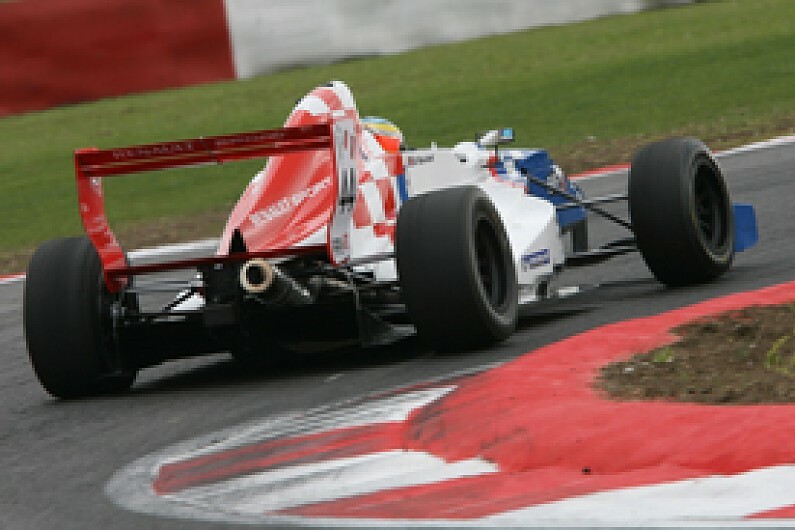 Having stepped up from club Formula Ford 1600, Malvern fought a hard battle for the British Formula Ford crown in 2010. In the end, the Ray driver narrowly missed out to Scott Pye's Jamun Mygale in the title race. Budget issues meant Malvern couldn't graduate to a higher rung on the single-seater ladder and instead he joined Jamun for a second crack at the Ford title. He had to dominate and did, wrapping up the championship early and winning all four standalone Formula Ford EuroCup crowns. A highly rated karter, Rowland has suffered a difficult personal life, with both his father and mentor Martin Hines passing away as he has tried to build his career. 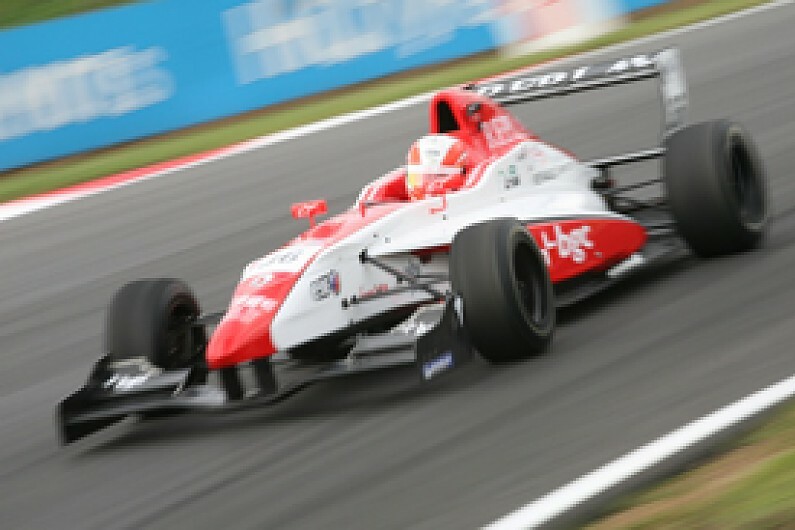 He has nevertheless impressed in his first year of Formula Renault UK. 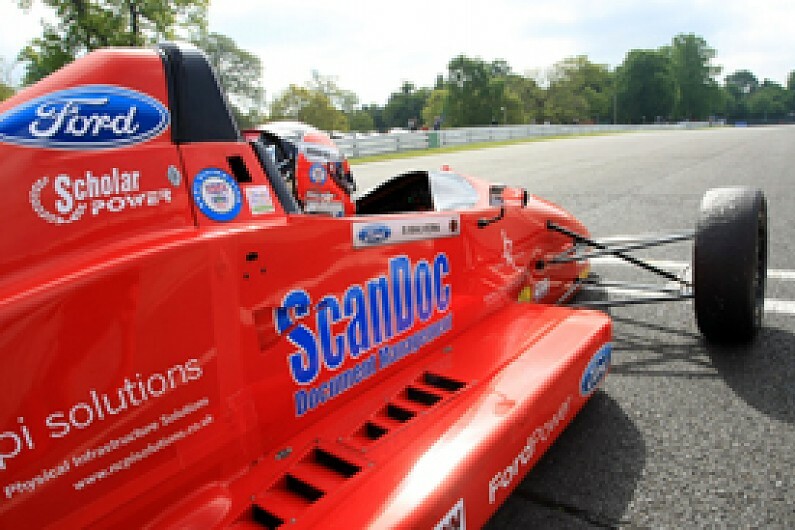 Initially the Racing Steps Foundation-backed driver had to give best to Lynn, but Rowland has come on strong of late and took an impressive double on the challenging Brands Hatch Grand Prix circuit earlier this month. Zamparelli was a champion in the British Ginetta Junior series before stepping in to single-seaters for 2009. He finished third in the Formula Renault BARC standings in his first season, but couldn't put a full campaign together for 2010. A deal with Antel Motorsport made Formula Renault BARC his focus for 2011. The championship has had a strong field of teams and drivers this season and Zamparelli has been on top. He looks likely to take the crown at the Silverstone finale this month, which supports the British Touring Car Championship.